WordPress is an integral part of the way we experience the web. Whenever you are browsing a website, there’s a pretty big chance that it is a WordPress website, and that is perfectly understandable since it an amazingly versatile platform to build and manage websites. It’s functionality is virtually limitless, since there are over 29.000 plugins in WordPress’ library, to cover most of things, if not all, that you can dream of, the hard part is finding the ones that best suit you. As we’ve mentioned in a previous article, quantity is not synonymous with quality. You can waste quite a bit of time looking for the right plugin, so, to give you a helping hand, we’ve compiled a handy list of 30 great WordPress plugins for you to try out on your website, and create great user experiences. 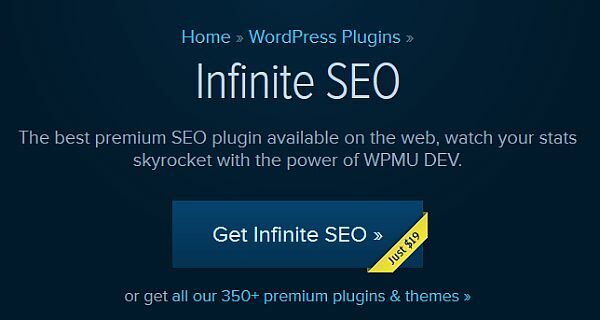 Created by WPMU, Infinite SEO is, as the developers claim, the most powerful SEO WordPress plugins on the available on the web. With it, you can easily customize every meta option for each page and post; it automatically creates your sitemaps, and allows you to register them with Google and Bing, and it’s also completely Moz integrated. Getting your posts shared is paramount to achieving notoriety and success online, so making the posts shareable is vital. 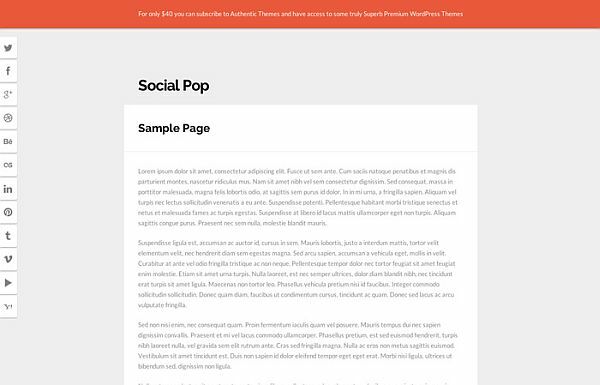 This app will add a light-weight horizontal share bar to all your posts, pages and any other page types, without slowing down your website. Many people have hectic schedules, so they might not have time to regularly check their favorite website (in this case yours). That’s why giving them the option to subscribe to your website is a thoughtful feature to add to it. Subscribr allows users to do just that. If your WordPress website is an online store, than you will be using a lot of plugins. EDD is a free plugin with payable extensions, so you can customize it to have the features you need, without anything you won’t be using. Another SEO plugin, this time written by the people at Yoast. It boasts a load of really cool features, which are nicely detailed in the link above, but its prime function is helping the post author create great content by forcing him (i.e. you) to choose a focus keyword and sticking to it. This plugin is, basically, and adviser on what parts of your website need to be modified to make it a better experience for the user, increase your search engine ranking and performance, based on current industry best practices for both desktop and mobile devices. If the adorable little penguin isn’t enough to convince you that this is the ecommerce plugin for you, than we can also tell you that it’s made by WooThemes, so you know you’re getting a quality product. For further details, you can click the link provided above and read the rather impressive list of features this plugin has. It’s always difficult to set (and especially keep) deadlines when it’s not up to only one person. Among the features this plugin has to offer to help streamline the act of working in a team are a calendar to help you get a month-by-month look at your content and notifications to keep you up to date with the content your following. Simply put, it’s an easy to use sitemap generator to help you improve the usability of your site for viewers browsing it. It displays pages and posts, sorted hierarchically, so it’ll be easier for users to find what they’re looking for on your website. This a fantastic plugin for both user interaction and getting statistics about what people like on your website. 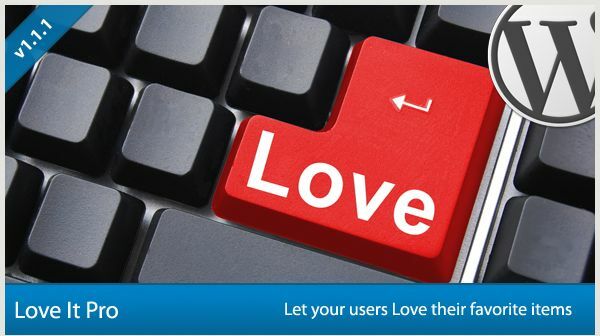 It works in pretty much the same way as the Facebook “Like” button, only that it’s specific to your website, and by giving users the possibility to “show some love” for your content, you prove to them that you care what they think. People don’t like trying to access a website, only to discover that it crashed. It just looks unprofessional, and might affect their overall opinion of it. W3 Total Cache not only prevents site crashes, but it also improves the page’s speed, thereby creating a better user experience. It’s the only WPO designed to do this, so it’s definitely a must-have. A little bit goes a long way, that’s why this image cropper is a cut above the rest. You can create several thumbnails from the same image, which might seem like such an inconsequential feature until you actually use it. It’s also something most other similar plugins just don’t have. Sidebars are non-intrusive, so having one on your website to give the user the possibility of sharing your content on any or all of the major social networking sites, or just viewing your own profile on said websites, really helps with user interactivity. 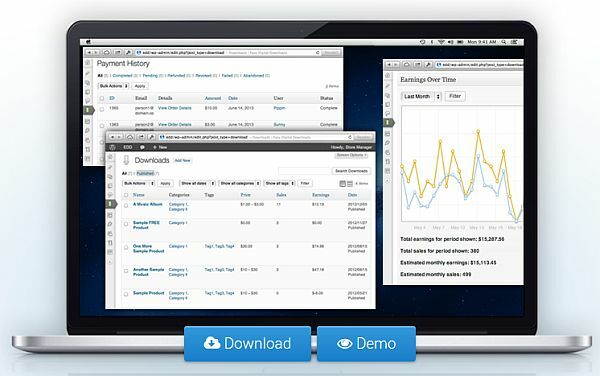 This is a great plugin to have if you want to monetize your website with affiliate links. Aside from obvious features such as link shortening and link cloaking, another really cool feature is the affiliate link picker tool, that allows you to automatically replace keywords with affiliate links. You’ve got to love it when WordPress plugins are easy to use. This one, for example, detects URLs in your posts and replaces them with responsive embed codes. It supports major sites such as Youtube, Instagram and Vimeo, to name just a few. Jetpack has lots of features, one of them being the social sharing one. It ads icons or text social sharing links to your posts to encourage users to share them. The title is pretty self explanatory. This is a great little plugin to have if you want to increase your website’s back-end security. Part of convincing people to pay for a product your website is promoting is getting the users to click the “Subscribe/Buy/Start Trial etc.” button. 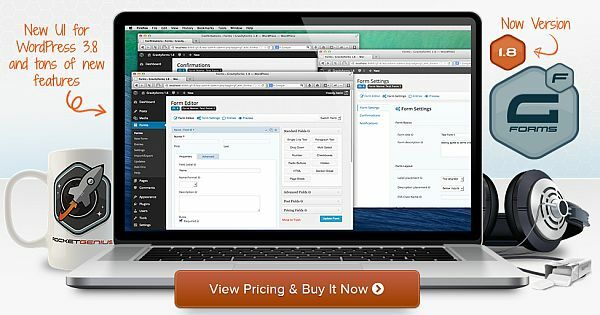 This plugin helps you create beautiful pricing tables, in the easiest way possible. Sliders are cool-looking and dynamic, so adding one to your website can make people spend more time browsing it. 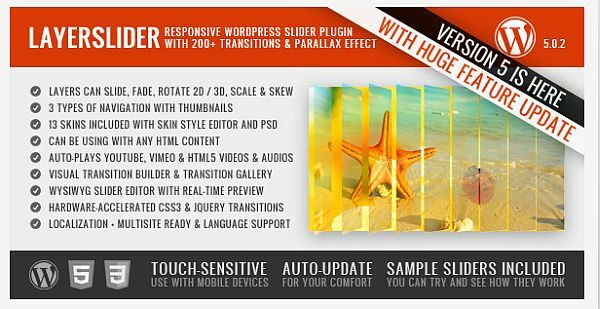 LayerSlider helps you create stunning sliders for your websites, making them more attractive. When you regular built-in archive makes your website look messy, it’s time to get a new archive. Compact Archives is great for making a more orderly and aesthetically pleasing archive. Handling comments is a tedious task. This plugin allows you to focus on comments you have to answer to by hiding pingbacks. Forms are essential to establish a connection between you and your website’s user. Gravity Forms is a great plugin for creating pleasing and eye-catching forms. If you’ve ever wanted to keep a post on your website for only a limited amount of time, and didn’t want to forget about removing it, then Post Expirator is the plugin for you. So, you’ve found the perfect theme for your online portfolio. As luck would have it, it’s not a dedicated portfolio theme, but it just looks so good. If you’re not a coder, than you can use Aeolus to integrate a great looking portfolio in your theme. 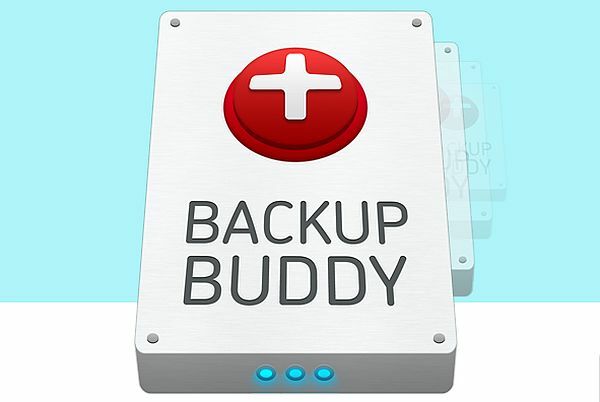 This plugin protects you from the tragedy of having to rebuild your website from scratch. Good redirection makes for a better user experience and improves SEO. This plugin makes this easy to achieve. Adblockers are generally a good thing, but if your site makes money off of ads, then you have to convince users to turn theirs off. BAN detects when ads are being blocked, and allows you to replace the empty space left by adblockers with a custom message, so you can plead directly to the user. 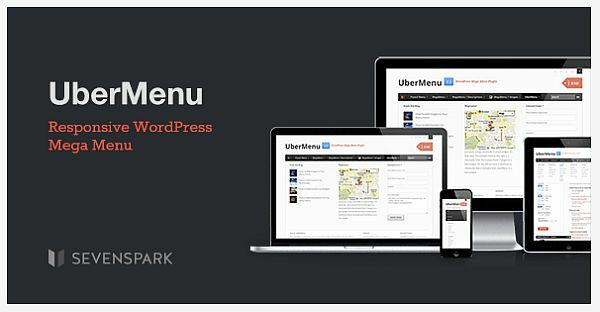 Navigation is key to the user experience, so if you want to customize awesome and effective navigation menus, then you should definitely give Ubermenu a try. Tables are a great way of conveying information to yourself, or your users. TablePress is the easy way to pull this off, since you don’t have to have any HTML skills to create said tables. Since we’re on the topic of tables, what gcal-table does is display a Google Calendar feed in your post in table-form. This is a fairly recent plugin, so you might encounter a few bugs.